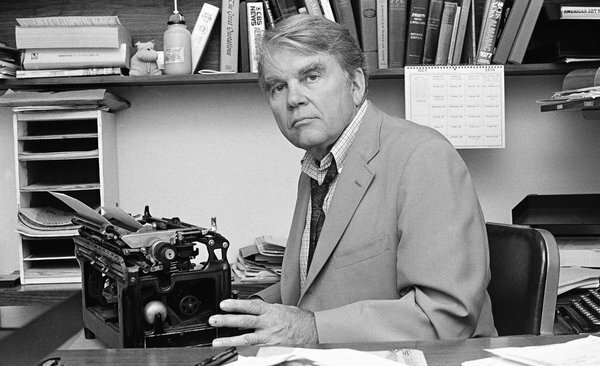 In the midst of ‘casting I was saddened to learn that Andy Rooney died Friday at 92. My wife was per usual vatic and prescient; she said that he’d soon be dead after his last broadcast. His job was inextricably connected with who he was. Look, I have no idea of his health but I do know something, viz. when a man loses his loved job, irrespective of his years, the death process begins. I loved that guy. Perhaps people at long last will understand what a trailblazer he was. He forged the inclusion of commentary with news. Sound familiar? This may come as a surprise to some but there was a very serious and considerable firewall between news and opinion. Today it’s virtually all commentary or, to be more precise, free association. His observational genius is heard everywhere. He was amazed by the simple which, in turned out, was anything but. Enough with the lionization. Tribute is one thing, apotheosis is another. Plus, Andy would hate this. On October 2nd, I presented this commentary/paean in honor of Mr. Rooney’s last broadcast. In terms of political message, this nails it. But, alas, will be misunderstood. This cartoon of sorts is spot on at a variety of levels and for a host of reasons. First, it doesn’t matter who wins the 2012, so don’t feel betrayed. There is a globalist agenda that will be played out irrespective of who wins. Moreover, having won, you’ve already evinced fealty to the cause; that’s why you were nominated. But I imagine the recipient of Obama’s contrition as one of the MSNBC/MSDNC minions who still can’t fathom that their boyfriend Barry turned out to be so duplicitous. Well, that’s not exactly true. In fact, Obama never promised anything save hype — er, I mean hope and change. Second, people upon seeing this will miss the wife-beater, contrite batterer message and punchline theme and construe it somehow as racist. Watch. They see parody and satire plus the reference to St. Barry and like a patellar reflex, they construe racism. How absurd. No as far as the podcast goes, listen here (to be voiced with a deep, Southern affectation). This podcast presentation employs the mélange technique: brain clutch in, engine spins and we find a subject gear.And, no, I have no idea what that means. ← LIONEL PODCAST: “In God We Trust” Is Unconstitutional. Period.